1. Pakistan's economy is confronted with the problem of chronic negative trade balances. The government wants to mobilize all its resources to establish a solid export base. The Textile sector, being the major foreign exchange earner, can serve as a launch pad. 2. The textile sector exports have been stagnant for the past five years. Exports have oscillated between US $4.5 - 5.5 billion. US $5 billion has been a psychological barrier for the textile industry of Pakistan. 3. The Multi Fibre Arrangement (MFA) phase out in the year 2005 is likely to result in providing level playing field with the removal of quotas and lowering of tariff barriers. It will be a threat to textile manufacturers on one-hand and open news vistas of opportunities for efficient players on the other hand. And which enables Pakistan to be amongst the top five textiles exporting countries in Asia. 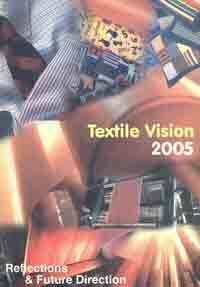 The textile sector holds a lead role in the development of the manufacturing sector in Pakistan. It comprises majority of the manufacturing sector output, provides employment to the bulk of the manufacturing sector labour force and it is a major foreign exchange earner for the country. The trade in textiles is directly effected by the phenomenon of globalisation that is leading to lower tariff barriers and removal of quantitative trade restrictions. Multi Fibre Arrangement adopted in early 70s by the developed countries to protect their domestic textile industry was replaced by the Agreement on Textiles and Clothing (ATC) on 1994. The ultimate objective of the ATC is to phase-out the quota restrictions on the import of textiles by 2005…. Contact your nearest SMEDA office to buy this book !